Mother’s Day will be here before you know it, so it’s time to put gift-giving on your radar (or gift-receiving, if you’re a mom, too). You know your mom the best of anyone, so we’ve broken our gift suggestions down into three categories: trendy, minimalist, and statement-making. Which one fits your mom? Who it’s for: This woman is on top of the trends (or aspires to be). She’s not intimidated by a little boldness and loves to play with new styles. Why she’ll love it: Spring and summer tend to make us a little bit more adventurous when it comes to trends, so feel free to think over-the-top and have some fun with color. Unexpected gifts: If jewelry is your go-to, try gifting another kind of accessory this year. Sunglasses, handbags, and shoes are a great place to start. Colors to consider: Whimsical and airy pastels are big this season. Keep her accessory choices ahead of the game with lavender, soft bubblegum pink, and flowery goldenrod. She’ll also love: Floral midi dresses, silk scarves, belt bags. Who it’s for: The ultra-chic woman in your life who keeps it classic. Why she’ll love it: Neutral items and accessories are the foundation of most wardrobes, so it’s likely mom might need to restock on something. And they match everything, which is great for always-on-the-go moms. Unexpected gifts: A patterned scarf she can wear around her neck, in her hair, or tied to her handbag. Also, woven accessories like hats and bags. Is mom going on a trip anytime soon? These are perfect vacation pieces. Colors to consider: Light, earthy tones give off a very sophisticated presence. Look for shades of beige, tan, brown, grey, and dusty pink. She’ll also love: Light-colored cardigans, sleek leather wallets, classic-straight silhouettes. Who it's for: This mom’s style definitely has a point of view. She loves fun and funky pieces that express her personality. Why she’ll love it: When you make a statement with your outfits, blending in is never an option and we wouldn’t change that for anything. Even something small, like a triangle-shaped pair of sunglasses goes a long way in terms of style. 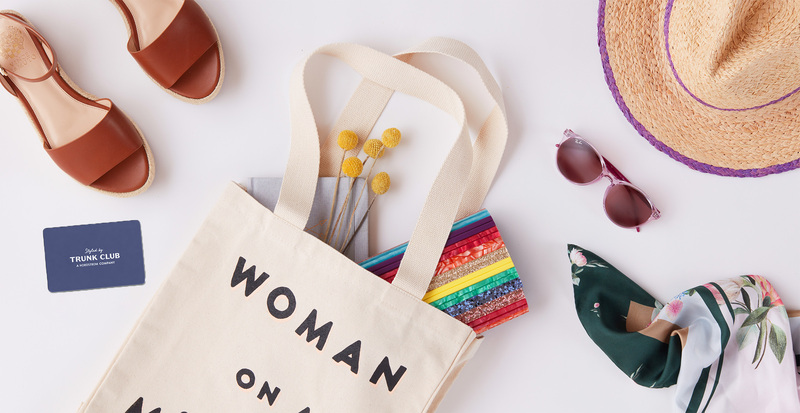 Unexpected gifts: A tote with a message is perfect for a mom who speaks her mind, and oversized statement earrings are made for a woman who is her own conversation starter. Colors to consider: This mom isn’t subtle, so her color palette shouldn’t be either. A rainbow motif and saturated hues will wow her. She’ll also love: Retro logo tees, voluminous denim, statement mules. Rather gift mom an experience all her own? Give a Trunk Club gift card on Mother’s Day and let mom and a stylist cultivate her style. 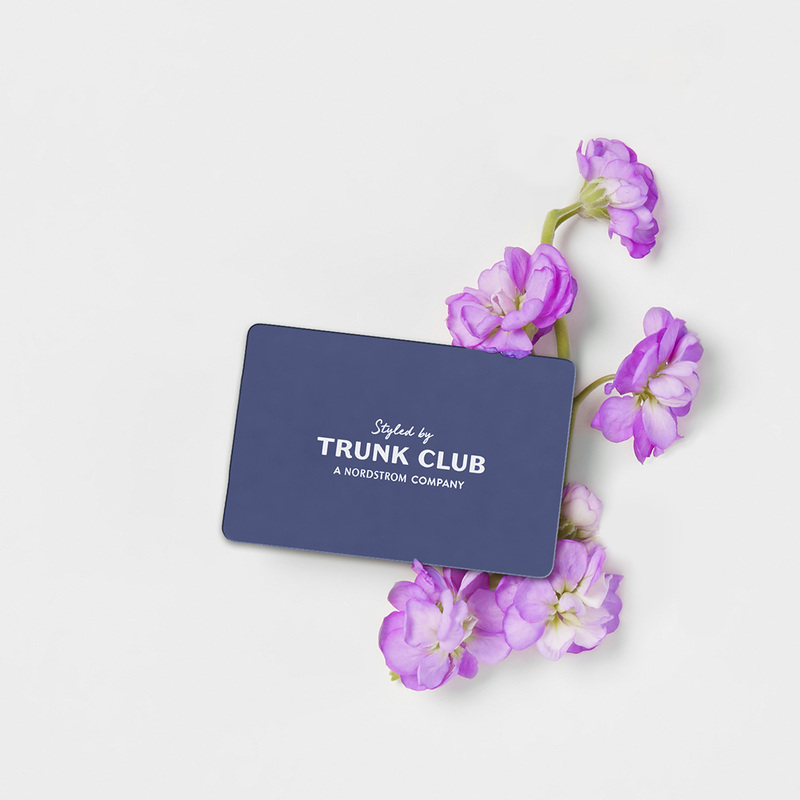 At Trunk Club, our stylists help people build their best wardrobes by discovering what fits their body, their budget, and their personal style. Get started with a stylist, or sign into your account.